Some time ago I started to create my own class and these moments my purpose is to create the documentation. I would like to know if to create the documentation of my class I should be guided by this link or simply create a document using LaTeX and explaining the code. I also found the following documentation How to Package Your LaTeX Package that has been very useful for me, but still I do not understand how from my class myclass.cls I can generate the documentation using dtx. I also tried to use the skeleton A.4 mentioned in the previous link but I get the error !LaTeX Error: File myclass.dtx not found. Thank you all for your suggestions and answers. I know that this is opinion based but I like the doc (aka dtx) (> texdoc doc) system for specifying and documenting LaTeX class and package code. In one document you can have the code, explanations of the code, a user manual, and other related things. If you ever have to update something then it can all be done in one file. As an aside, in the past, I have used extensions to the doc system for documenting MetaPost, C, Java, and EXPRESS code. How can I get documentation for the LaTeX letter class? 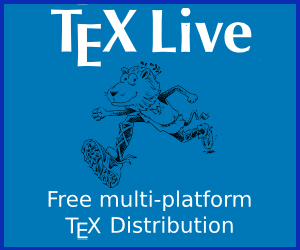 Where can I find documentation on biblatex 1.7 (or other older versions of packages)? How can I find the definition of latex macros?